SCP-3686 is to be contained within the security staff quarters of Satellite Office 102. SCP-3686 is to be fitted with a GPS tracker, and stored within a wood and glass flag display case. Mobile Task Force and Security Personnel may be recruited on a volunteer basis for a rotational roster to possess SCP-3686 within Satellite Office 102. Volunteers desiring to be added to this list can contact Satellite Office 102 security director Sgt. Danvers. SCP-3686-2 is to be contained in a standard humanoid containment chamber at Site-217. SCP-3686 is to fitted with a GPS tracking device, and stored within a wood and glass flag display case. At this time, no additional testing is required with SCP-3686. Requests to transfer SCP-3686 to a new instance of SCP-3686 are to be denied, without Level 4 approval. In the event of SCP-3686-2's death, SCP-3686 may be passed to a willing host, with Level 4 approval. Description: SCP-3686 is a burial flag from the United States of America, dated to 2015, which creates a memetic memory construct in anyone who possesses SCP-3686 within certain conditions. SCP-3686's anomalous effect will only occur if the owner of SCP-3686 willingly possesses1 SCP-3686. Testing with security personnel has shown that if SCP-3686 is given to an individual without their knowledge2, or without willing acceptance of the object3, its anomalous effect will not manifest and will continue to present to its previous owner. Attempts to relinquish SCP-3686 without a willing recipient have shown to have no effect on SCP-3686's memetic effect. It is hypothesized that if the current owner of SCP-3686 expires, SCP-3686-1's effect would not spread, beyond its usual mechanism. SCP-3686's specific memory construct is a belief that the current possessor of SCP-3686 had a brother named "Evan" hereafter referred to as SCP-3686-1. Subjects will invariably express that SCP-3686-1 was killed in action while serving in the U.S. Army forces in Afghanistan on October 22, 2015. SCP-3686-1 has been identified as Evan ████████, brother of PoI-2722 (see attached security report), who was confirmed killed in action on October 22, 2015 in █████, Afghanistan. Subjects do not present any other memetic effects, though several subjects report various levels of depression regarding SCP-3686-1. Upon the transfer of SCP-3686 to a new owner, the previous subject loses all knowledge of SCP-3686-1. At this time, no specific anti-memetic effect regarding SCP-3686-1 has been observed beyond the initial memory erasure. Subjects previously affected by SCP-3686-1 have had no difficulty retaining knowledge of SCP-3686, SCP-3686-1, or being affected by SCP-3686's memetic effect upon subsequent possession of SCP-3686. SCP-3686-2 has shown signs of significant changes in personality, memory, and behavior, due to the effects of SCP-3686. At this time, SCP-3686-2 believes itself to be PoI-2722. The earliest detection of this effect was October 2018, with the effect intensifying as SCP-3686-2 continued to be exposed to SCP-3686. At this time, it is beleived that the removal of SCP-3686 (either through the acceptance by a willing host, or through anti-memetic or amnestic treatments) would result in significant emotional and potentially physiological damage to SCP-3686-2. Foundation Psychiatric and Neurological assessments have advised against attempting to remove SCP-3686 at this time. Due to this condition, SCP-3686-2's containment shall remain indefinite, and SCP-3686 is not to be given to any other personnel hereafter. 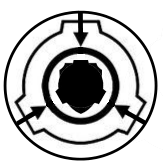 PoI-2722 was re-acquired by the Foundation on ██/██/████, and questioned regarding the intensification of SCP-3686's effect. PoI-2722 refuted any intention for SCP-3686 to cause harm to SCP-3686-2, or personnel in general. Interrogation was conducted using Class-A, B, and C veritants, which confirmed these statements. PoI-2722 was placed to a psychiatric facility under Foundation control for observation, following interrogation. PoI-2722's specific whereabouts and activities can be found in Document-P-2722-OF. PoI-2722: You guys are Foundation right? Dr. Stephens: How do you know about the Foundation? PoI-2722: Does it goddamned matter? Are you, or not? Dr. Stephens radios to a Level-4 Staff member. Dr. Stephens: Yes. We are Foundation personnel. PoI-2722: Okay. Okay, good. I want you to have this. PoI-2722 withdraws SCP-3686 slowly from their backpack. Security staff level their weapons. PoI-2722: Whoa. It's not gonna make you crazy, or do anything insane. It's just a flag. It… it's got an anomaly or whatever you call it, but I want you guys to contain it. Dr. Stephens: I don't understand. Why bring this to us? PoI-2722 became visibly distressed, and struggled to maintain their composure. PoI-2722 began to cry, and could not continue the conversation at this point. The director of security for Satellite Office 102 steps forward into the camera frame. Sgt. Danvers: Which branch, son? PoI-2722 regains their composure enough to continue. Sgt. Danvers walks forward to the table, and picks up SCP-3686. Upon picking up SCP-3686, he stiffens for several seconds. His eyes come to rest on SCP-3686 in his hands, and can be observed to begin crying. PoI-2722 visibly relaxes, calming down significantly. Dr. Stephens: Are you okay Sergeant? Sgt. Danvers: Yeah, I just…I forgot today was when Evan was KIA. Let's wrap this up Doc, I've got a bottle of something put away. PoI-2722: So what now? I get shoved in to some dark hole, where I'm never heard from again? Dr. Stephens looks from Sgt. Danvers to PoI-2722 several times. Dr. Stephens: Ahh. I see. Danvers, before you head off duty, please take this young man to outbound processing. PoI-2722 was administered class A Amnestics, and released. A Foundation tracking team was assigned to monitor PoI-2722 in the future. To date, no further anomalous activity has been observed by PoI-2722. The security staff, and myself will take on SCP-3686 on a rotational basis. Dr. Stephens doesn't agree with my assessment completely but understands why we'd rather just keep the thing contained in the security quarters. Protocol of course dictates that no contact be made with the object at all, but the kid's brother deserves better than that. Following the report by Sgt. Danvers on Oct. 22, 2017, it was determined that an anomaly had compromised Satellite Office 102. Foundation agents were dispatched to apprehend Sgt. Danvers at Satellite Office 102. At this time, there are no other significant Foundation assets at Satellite Office 102, and it is recommended that Satellite Office 102 be shut down. Dr. DiChiara and Lt. McIntyre were dispatched from Site-217 in order to determine the cause of the breach, and how to prevent further breaches. Attached is the interview with Sgt. Danvers. At the time, one of his subordinates (Pvt. Kadesh) was the subject of SCP-3686 (hereafter properly designated as SCP-3686-2). Dr. DiChiara: Sergeant, tell us why exactly you decided to leave a skip uncontained? Sgt. Danvers: It wasn't uncontained. Did you read the initial report? Procedures were in place, and are being followed to the letter. I believe Kadesh is currently in rotation. Dr. DiChiara: We did. We don't agree with your containment procedures, and especially the flippant attitude exposing Foundation personnel to an anomaly without cause. Sgt. Danvers: Of course there's cause. SCP-3686-1 doesn't deserve to be forgotten. Kadesh volunteered like the rest of us. Dr. DiChiara: Regardless of the voluntary nature of this exposure, why is that a priority? Containment is your first priority Sergeant. Sgt. Danvers appears agitated at this question. Sgt. Danvers: Is that a joke? Do you think this kid just deserves to be forgotten? Dr. DiChiara: I'm not sure I understand. Sgt. Danvers: We have a chance here to contain a skip, and not let a fallen soldier be forgotten. That's worth a little insecurity. Dr. DiChiara: Now I'm sure that I do not understand. Lt. McIntyre: I think I see why you did this. You felt that the loss of security was worth this soldier not being "forgotten" as you put it? Sgt. Danvers: Exactly. We've lost enough men and women in that sandpit, none of them deserve to be just…forgotten, the only remnant of them locked in a damn hole. Dr. DiChiara: No one is forgetting the existence of SCP-3686-1. The records are clear that he was Killed in Action, the U.S. Army records are clear. Sgt. Danvers makes several gestures with his hands, attempting to explain. Sgt. Danvers: It's not the same, you don't understand. Lt. McIntyre: I think I see what's going on here. This is…something that is common for United States soldiers who are killed in action? Sgt. Danvers: You can put it that way, I guess. I don't…it's not that easy to explain. Lt. McIntyre: Doctor, a moment? Lt. McIntyre and Dr. DiChiara exit the room, and consult for several minutes. They return, and re-seat themselves at the table. Lt. McIntyre: Sergeant, I think I understand why you did this. There was little risk of containment breach, and you felt this was important? Important enough to ignore protocol? Lt. McIntyre: I think we may have an alternate solution for you. Sgt. Danvers was offered the chance to become the permanent SCP-3686-2, and be put in to containment. Sgt. Danvers agreed, with the condition that upon his retirement from The Foundation, or his inability to serve as SCP-3686-2, SCP-3686 is to be transferred to a new host. This was considered acceptable to Level 4 staff, and Sgt. Danvers was officially designated SCP-3686-2. On a more personal note, this entire situation could have been avoided. It is my recommendation at this time to adopt a policy of multi-cultural directorship of incoming anomalies in order to avoid cultural bias towards containment and acceptable safety measures. 1. Defined as consciously considering themselves the owner of SCP-3686. Distance from SCP-3686 has shown no change in this effect. 2. Testing with security personnel involved placing SCP-3686 inside of footlockers, and personal effects. SCP-3686's memetic effect was not observed to occur in these cases. 3. Testing with security staff involving the refusal to accept SCP-3686 did not show its memetic effect in the unwilling recipient of SCP-3686.